As the Army transitions to a new generation of warfare, one that involves a more high-tech battlefield, Fort Gordon in Georgia is becoming the nexus where such capabilities will be born. Home of the Army Cyber Center of Excellence, where soldiers go to become high-end cyber and electronic warfare planners and operators, Fort Gordon is growing quickly and becoming increasingly more important within the Army. Maj. Gen. John Morrison, Fort Gordon’s commander, spoke recently with C4ISRNET’s Mark Pomerleau about his portfolio and how it fits in the Army. C4ISRNET: I understand that with the recent elevation of U.S. Cyber Command leaders are going to re-evaluate training and joint standards. MAJ. GEN. JOHN MORRISON: Yes, that’s ongoing right now. C4ISRNET: So there hasn’t been a decision yet as to what that pipeline is and where the Army fits in with the cyber mission force going forward? MORRISON: Yes, there’s a whole list; we’re now at a point in our maturity with the cyber mission force that it is time to go back and review a couple of different things. One is looking at whether we have the training right and if there are other more effective ways that we can go about doing training. One thing we’ve implemented through the last year is cyber common core technical training. Last year, we were only training predominantly officers and we had just started doing our warrant officers. Now we train all three cohorts, so enlisted, warrant officer and officer. All three of them get this cyber common technical core. That’s also now become the joint standard. While it was developed here at Fort Gordon in the cyber school, I am being directed by CYBERCOM J7 that all the services will now train that portion of it. One of the other things we’re looking at is how we send our cyber enlisted force down to Pensacola to go through the joint cyber analysis course. 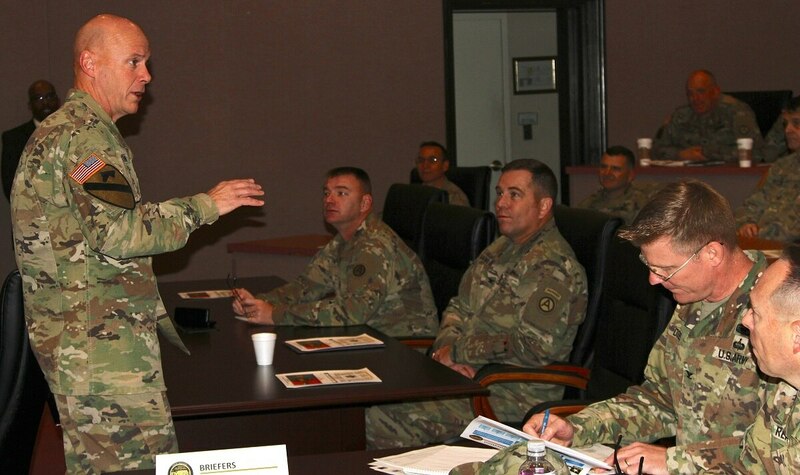 Working with the Defense Digital Services out of [the Office of the Secretary of Defense], we ran a pilot that took that 27-week course, put it into a new methodology and we were able to conduct it here at Fort Gordon in about 12 weeks. We think it’s going to have to extend to 14 weeks, but this fall we’ll run another pilot. Once we do that, we’ll start conducting that training here ourselves. We will then proffer that back to CYBERCOM as something that can become a joint standard. 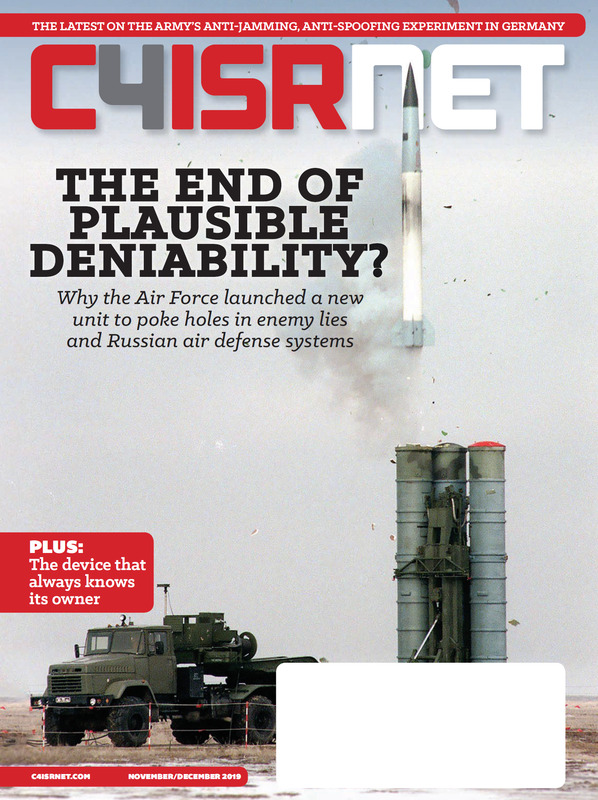 C4ISRNET: A few months ago, you explained how everyone is going to get that training, but the high-end folks will go to the cyber mission while the others will stay in that cyber and electromagnetic activities (CEMA) planning role. Can you elaborate? MORRISON: On 1 October, [electronic warfare officers] all become 17 series officers, warrant officers and enlisted. They are a part of the cyber branch. That’s important because it takes them out of being a functional area specialist into an operational branch. Currently, we have mobile training teams that are out going to the various installations around the world, bringing them in and teaching our EW professionals cyber operational planning. What you have now in the force are cyber planners on brigade combat team staffs and above. We’re going to start organizing them into our CEMA section. What that’s going to do is you’re going to have a tactical cyber force that can also conduct electronic warfare to include electronic attack and then you’re going to have the cyber mission force. Sort of like how the special ops community is set up: you have special forces that are out in your Special Forces group and then you have organizations that are like [Joint Special Operations Command] that really do more national kind of missions. I think we’re going to have an opportunity, because it’s going to be very, very specialized and highly trained people in our cyber branch no matter where they are, whether they’re in the operational force or the cyber mission force. I think we have an opportunity to put some sort of model like that in place. C4ISRNET: What role is information operations playing? With those CEMA planners on the brigade staff, how versed will they be in IO and how are you taking on IO at the cyber school? MORRISON: That’s a work in progress. We’re working with the Combined Arms Center on exactly how we’re going to approach all things information environment to include information-related capabilities. We’re starting to see a nexus up on the Army staff. Inside Army Cyber they have the Information Operations command. But the 1st IO Command probably is not organized the way that it needs to be for our future fights. Then, on the institution side, we are now looking at how do we organize so that we can get the synergy with the other parts of the Army. C4ISRNET: Do you have a role in the CEMA support to corps and below (CSCB) pilot and are you taking any lessons from what they’re learning and putting those back into the school house? MORRISON: We are the ones that go out there and assess. So, you have Army Cyber who puts boots on the ground and capabilities on the ground in support of the brigade combat team. We provide folks who provide overwatch and capture the lessons learned and assist in getting them documented. It is helping us to do two things. One, we educate commanders on how to employ cyber and electronic warfare capabilities in an integrated fashion. More importantly, it’s really been informative as we started working through how we are going to regrow electronic warfare and cyber capabilities at the tactical edge. If we look at building these EW platoons that will be working in conjunction with our [military intelligence] partners inside the MI companies inside each one of the BCTs, the CSCB effort has really informed our thinking on what that operational [concepts of operations] needs to look like. It hasn’t yet achieved the synergy with specifically our [signals intelligence] teammates that we envision in the future, but, wow, what a great launching point for us to get started. C4ISRNET: Has there been anything from the most recent pilot rotations that has surprised you? Maneuver commanders are starting to wrap their heads around what that really means, because we interject very early in the process to make sure that we’re educating and showing how these effects can be applied in time and space in support of the commander’s scheme. C4ISRNET: Is there a timeline in terms of when the military intelligence companies with the EW platoons will stand up or when you’ll start to put force structure behind them? MORRISON: Fairly rapidly is the short answer. We will start prototyping both capabilities and the organizational structure inside a BCT this fall. C4ISRNET: Have there been any exercises or units or posts identified for that? MORRISON: The short answer is a unit has been tentatively identified; it’s pending final approval from Gen. [Robert] Abrams [Forces Command commander]. We expect to have that in the very near future. He is fully supportive of our efforts. They’ve committed to giving us a BCT we can experiment with. That’s going to allow us to establish the CEMA section on the brigade staff, it’s going to allow us to build the EW platoon that will be inside the MI company, so we can test the string. What that’s going to allow us to do is rapid prototyping but from three perspectives because it’s more than just the kit you give folks. It’s about whether we have the organizational structure right or did we miss something, and do we need to do some puts and takes to it. Just as important, it’s also prototyping the training that we’re giving our electronic warfare professionals as we transition out of 17 years of a counter-IED fight to where we’re maneuvering in and through cyberspace and the electromagnetic spectrum. We owe some options to the department. That’s why we want to start doing the rapid prototyping of the organization and training the equipment this fall. We’ll deliver some more prototyped equipment in the spring/summer that will be much closer to the objective system we want. While all that is going on, we’re going to start trying to increase our combat power. We’re going to do it on a couple of different levels. It’s not just the MI-EW companies, that we’re still using the term MI company; it’s not just the CEMA sections. It’s also building the capacity inside the multidomain task force that’s out at Fort Lewis, because we know that we can’t just have EW and cyber capabilities at the edge; it’s got to be layered across the battlefield, so we can apply effects and attacks across the breadth of the battlefield, not just at the forward edge. C4ISRNET: Are there changes you need from Congress? I know you’re using other transaction authorities and things like the IT Box, but are there changes to the law that could allow you to go faster? MORRISON: I don’t think so right now. I think that between things like OTAs, Section 804, the IT Box construct … and also document operational requirements, vice technical requirements ... we’ve got enough in our kit bag that we haven’t even explored fully yet. We need to do that first before we go back asking for more.